When Rovez Ingram found out he would be the new principal at Marguerite Christian Elementary, he was elated and hysterical. Ingram said he was laughing and shouting when he received the phone call and said it was an exciting time for him. Ingram’s 15-year journey in education began at North Carolina Central University, where he received a bachelor of arts degree in elementary education. After teaching for three years, he graduated with a master of education in special education and eventually received a post-master’s certificate in educational leadership, both from Virginia Commonwealth University. Ingram said he got into education to be a teacher, but the assistant principal at his first job saw something in him and encouraged him to get an endorsement in leadership. Originally from North Carolina, Ingram relocated to Virginia in 2004 for his first teaching position. He worked in Richmond Public Schools for a decade and then taught fourth grade at Enon Elementary. 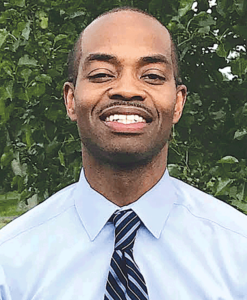 He was the assistant principal at Matoaca Elementary for three years when he found out that he would be the new principal at Marguerite Christian. In addition to fourth grade, Ingram has also taught second and fifth grades. He decided to pursue education to be a male role model in the elementary setting and empower students with knowledge and experiences that could positively impact their lives. Ingram said he looks forward to building relationships with students and loves being around them and seeing them meet their goals. 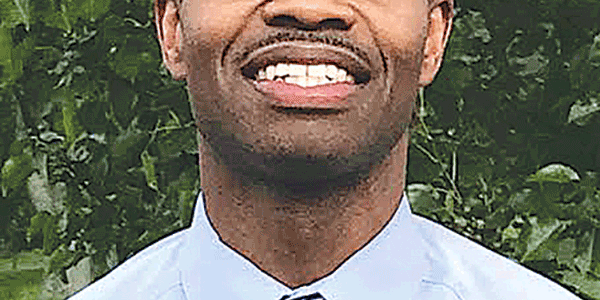 “My goal is to continue to build positive working relationships with all students, staff, parents and community members of the Marguerite Christian family,” he said. Marguerite Christian will lose 500 of its students mid-year when they return to a new Enon Elementary in January. Enon students have been at Marguerite Christian since the fall of 2017. The change will leave Marguerite Christian with some 650 students. “Enon being at Marguerite has presented a great opportunity for both schools to collaborate and learn from each other,” Ingram said. His first official day as principal was July 2, and he’s hit the ground running. He has met office staff and some of the students and has had meetings with teachers. “We are excited to welcome Rovez Ingram to the Bermuda District and to our amazing team at Marguerite Christian,” Bermuda District school board member Carrie Coyner said, adding that he brings a depth of instructional leadership from many years in the classroom.